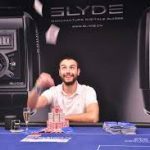 In a tournament that started on, and was named after, the longest day of the year, marathon Event #33, the $1,500 Summer Solstice No-Limit Hold’em, finally ended Friday afternoon when Spain’s Adrian Mateos topped Austria’s Koray Aldemir to take the bracelet and the top cash. 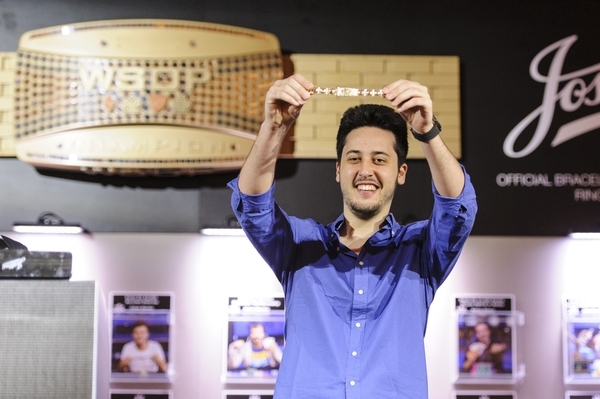 Although it was Mateos’ second gold bracelet, it was his first in North America. Mateos will turn 22 next week, and now has amassed $1.8M in career tournament earnings already. He earned his first gold bracelet when he won the WSOP of Europe Main Event in 2013 in Paris. 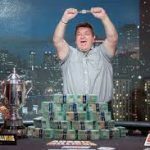 But he wanted results in the US, and Friday he got them, earning $409,171 for the win, which took four hours to secure after Mateos and Aldemir (who won $252,805 for second) agreed to call it a night Thursday and return for heads-up play the following day. Aldemir will want to have this one back after entering Friday with a little over a million-chip edge heads up, then quickly extending that lead and holding a 2-to-1 edge for a majority of play. The turning point, however, came when Aldemir tried to end it by calling Mateos’ all-in on Hand #175. On a flop of A♠4♦3♦, Mateos shoved with 5♦6♦ as Aldemir held 8♠8♥. The turn brought an A♦, making Mateos’ flush. With no 8 or A on the river, Aldemir was done for. After that, the Spaniard took an almost $2M chip lead and never looked back. 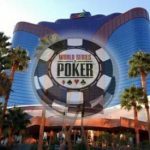 The final two beat out 1,838 other players in the five-day event, making it one of the longest series tourneys ever outside of the Main Event. Aldemir has now cashed nine times at the World Series, with five of those coming this year alone. The Summer Solstice, a new event to this year’s series, was designed for slow play. The event increased level times to 90 minutes, allowing more “bang for your buck,” so to speak. Whatever Rafael Lebron is eating for breakfast, he needs to keep eating it. Lebron grabbed gold Friday night in Event #38, the $3,000 6-Handed Limit Hold’em when he topped Georgios Zisimopoulos of Greece and took home the bracelet and $169,337. It was Lebron’s first career WSOP bracelet. For second, Zisimopolous goes home with $169,337. 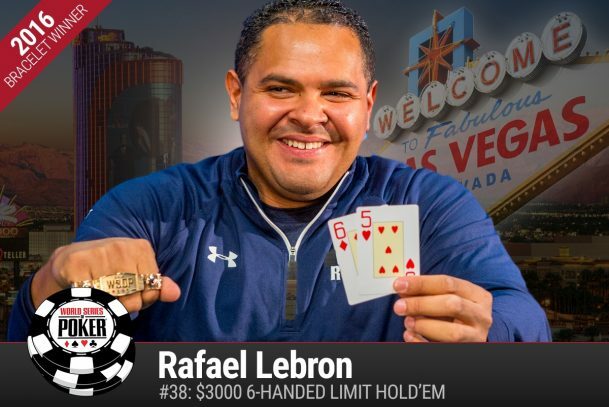 Only six days prior, Lebron finished second in Event #30, the $3,000 Pot-Limit Omaha 6-Handed for $212,779, so 2016 is going smoothly for this Washington State resident. The win earned Lebron his third-ever WSOP cash and he beat out 244 other players. He hadn’t even been among the top five chip leaders when players reached the final table, but he carefully worked his way past the likes of remaining pros like Matt Matros (5th, $32,172) and 2015 WSOP Main Event champ Joe McKeehen (4th, $46,489) to notch the win. In fact, it was Lebron who knocked out McKeehen on Hand #61 when the former’s pocket queens picked off McKeehen’s three-bet shove with king-eight offsuit. For Zisimopoulos, his first bracelet will have to wait, although he now has six cashes in just two trips to the WSOP in Las Vegas. He was the only non-American player to make the final six. Other final table finishers included Maryland’s Brad Lisbon (3rd, $68,896) and Pennsylvania’s Alex Queen (6th, $22,848). Jiaqi Xu of Clarksburg, Maryland, emerged victorious from a field of 776 players and a relatively unknown final table on Friday. He banked $212,128 and his first WSOP bracelet by taking down Event #37, the $1,500 Pot Limit Omaha. It was the largest career cash for Xu, a professional player since 2009, by nearly $200,000. Xu toppled Englishman James Duvall, who had been a heavy favorite in the head’s up match. The Brit player came in with $1.3 million in career earnings and three previous WSOP final tables. Duvall, who had never finished higher than third at any of those final tables, moved up one spot and settled for second place and $131,073. It almost seemed impossible when Day Three began that massive chip leader Tommy Le wasn’t going to run away from the field and end up in a heads up battle. But it was not to be. Instead, Le, who started the final day with more than one million in chips (twice that of second place), settled for fifth place and $46,452. After leading for most of Day Two of Event 39, the $10,000 No Limit Hold’em, Vanessa Selbst will return today seeking to end a thus-far-cash-less WSOP 2016. 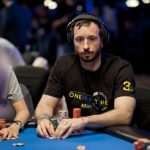 Selbst bagged 1,942,000 on chips Friday night and sat only 4K behind Nick Petrangelo, who finished on top with 1,946,000. But there’s lots of work to be done yet when the final 21 players return at noon on Saturday. Selbst will need to survive contenders like Justin Bonomo (3rd, 1,278,000), Jonathan Little (4th, 963,000) and Scott Seiver (7th, 860,000). When play picks back up at 2 p.m. in Las Vegas today in Event #40, the $2,500 Mixed Triple Draw, David Gee will be looking for that elusive first gold bracelet after years of trying. Gee, who has cashed 13 times during an 11-year WSOP career, has made two final tables in that span, but still has no bracelet to show for it. He’ll be in prime position to win his first today when his 803,000 in chips leads the final table. Damjan Radanov, a former WSOP Circuit winner, is second with 514,000, followed by Christopher Vitch in third (376,000). Vitch made a final table earlier in this series in Event #8, the $1,500 H.O.R.S.E., finishing third. Las Vegas pro Gregory Alexander, who has just one career WSOP cash to his name, jumped out to a good start Friday on his way to a second when he bagged 253,300 in chips to lead Day 1A of Event #41, the $1,500 Monster Stack No-Limit Hold’em. Out of the 2,420 who entered the first flight Friday, only 750 remain, including several old school notables such as T.J. Cloutier, Erik Seidel, Steve Brecher, and Hoyt Corkins. The second flight begins Saturday at 10 am PT, after which the fields will be combined Sunday. The maximum 400 players entered, but only 40 remain after the opening day of Event #42, the $3,000 Shootout No-Limit Hold’em. Top players like Faraz Jaka, Andy Frankenberger, Michael Mizrachi, Antonio Esfandiari, and Maria Ho are among those coming back on Saturday at 2 pm. Cards will get in the air today with ten four-handed tables and then play down to a final table, which will take place Sunday.